We are located off ME Route 178 in Bradley halfway between Milford and Brewer. The grounds are located at 262 Government Road. 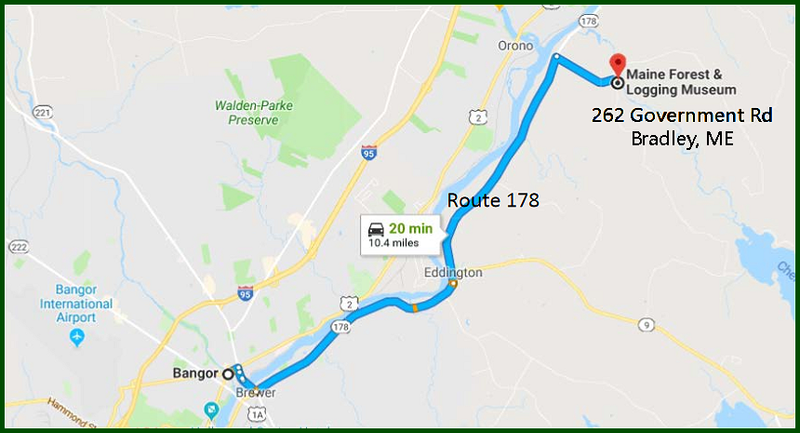 From Bangor and Brewer, take ME Route 9 from Brewer 4 miles towards Eddington. Turn onto ME Route 178 and follow towards Milford for another 4.5 miles. A large sign will be on the left but the entrance and Government Road will be on the the right directly across from the sign. From US Route 2 in Milford, follow ME Route 178 south 4.8 miles to Government Road on the left (directly across from the sign for Leonard;s Mills on the right). Follow Government Road, bearing right at the fork in the road. Please park in the visitor parking lot.